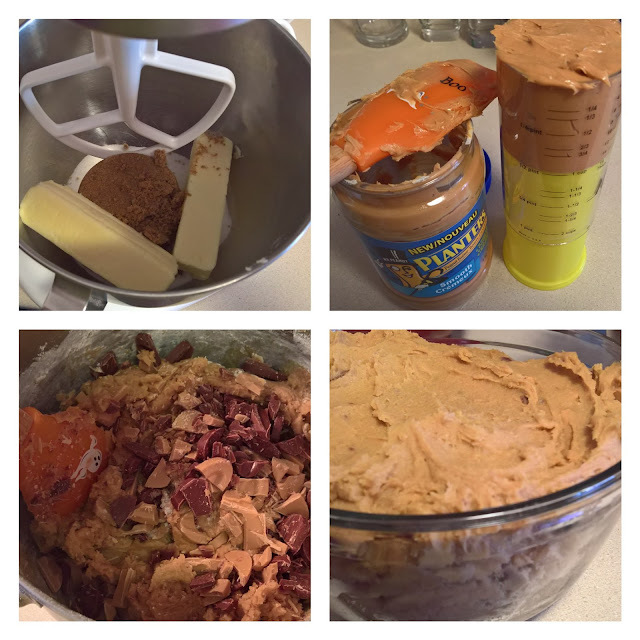 These cookies are perhaps the best peanut butter cookies I have ever made or eaten. No. They are the best (peanut butter cookie). They are my favourite and I had my doubts about them. Oh yes I did. Chocolate chunks in my peanut butter cookies?? I'm not sure why I had any doubts. Hello Reese Peanut Butter cups! 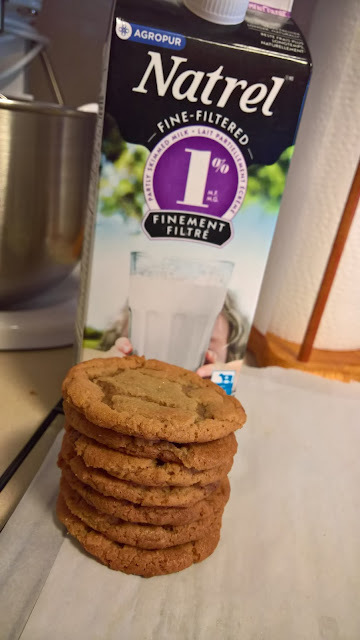 The chocolate for these cookies is milk chocolate. I decided to mix it up, and use Valrhona's milk chocolate along with their Dulcey Blond. I have also (in previous bakes) used their Caramelia chocolate in these cookies. And that was an excellent combination too. 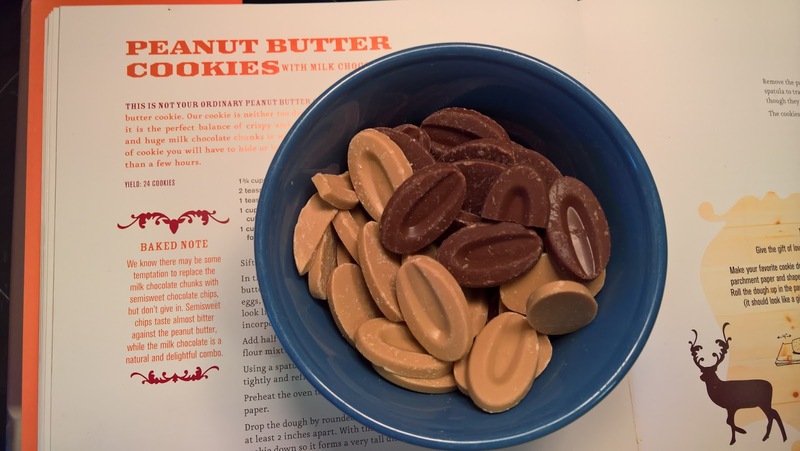 The caramel with the peanut butter is very nice. The cookie dough comes together quickly. Once done, it just needs to go in the fridge to chill. The chilling is perhaps one of the most important parts, when it comes to the baking of a good many variety of cookies. It was a great lesson to learn in my baking life and has served me well. I left the dough in the fridge for a couple of days, before I got around to baking them. And that was just fine with this dough. I baked a few cookies and then rolled the rest of the dough, to put in the freezer for a cookie emergency. Be prepared, that's my motto. Proud Cookie Scout. These cookies are so damn good. Sorry, I mean SO. DAMN. GOOD!!! Check out Baked Sunday Mornings to see how the rest of the gang liked these cookies.